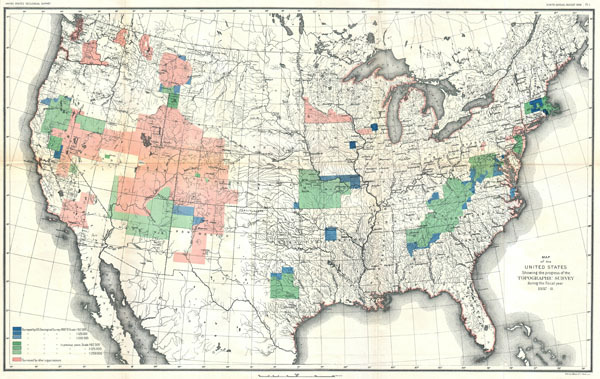 Map of the United States Showing the Progress of the Topographic Survey during the Fiscal Year 1887-8. U.S. Geological survey. Ninth Annual Report, pl. 1. University of Illinois at Urbana-Champaign, Map & Geography Library, G3701.B5 1892.G3.